We have learned a lot from 'Little Bear Sees'. This website is dedicated to raising awareness about cortical visual impairment (CVI). We strive to provide the information and tools necessary for helping children with CVI learn how to see. Read the Little Bear Sees book. Find Little Bear Sees apps here. List of Best Books for Kids with CVI here. 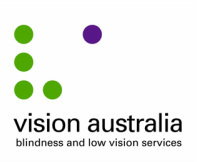 Vision Australia is a not-for-profit organisation with client numbers of 33,000 and we are also a major participant and partner in the international blindness community. We provide services and support for clients through 28 Vision Australia centres in NSW, ACT, Queensland and Victoria. Clinics are also held in 29 other locations and there are outreach services to the Northern Territory and Tasmania.